Father’s Day is such a laid back holiday compared to Mother’s Day. No one is rushing around the mall at the last minute looking for the perfect present or trying to get reservations at a favorite restaurant. Dad’s day is pretty much the same every year: gift wrapped boxes of neckties and grilling outdoors where he gets to be head chef. 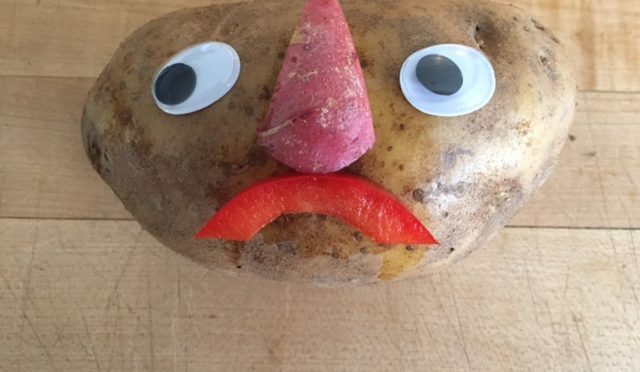 So what do you do when Dad is cutting carbs and other family members aren’t ? I find that dressed up burgers offer something for everyone. 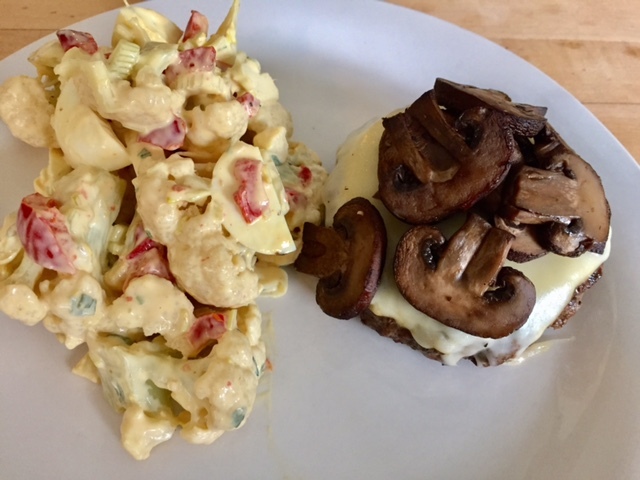 Angus burgers for beef eaters and turkey burgers for those who don’t want red meat. You can also cook salmon and vegetarian burgers. 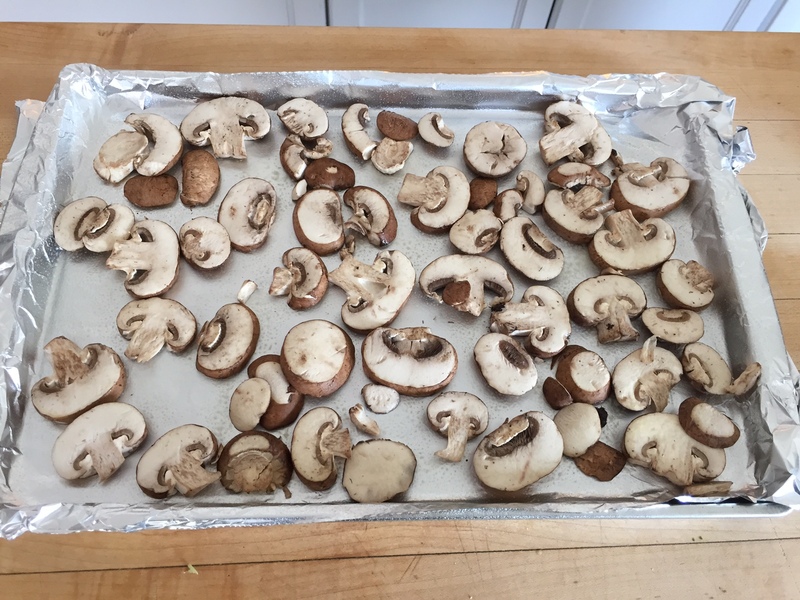 For this menu, I’m using the “MMM…” (three “M” treatment) of mustard, Muenster cheese and roasted mushrooms (buns available upon request). 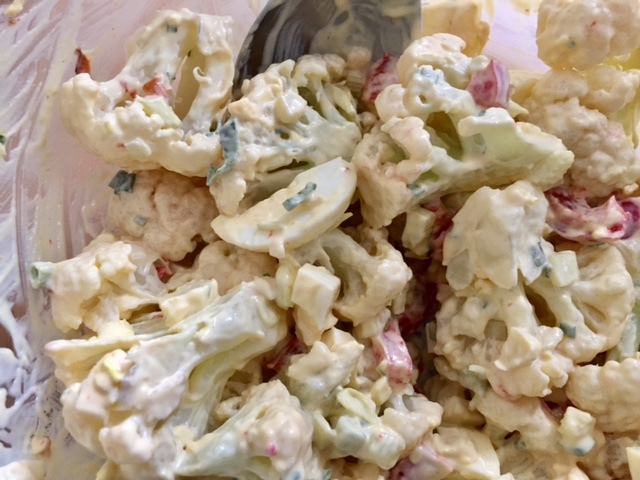 I’ve found that the best swap for potato salad is to use cauliflower. 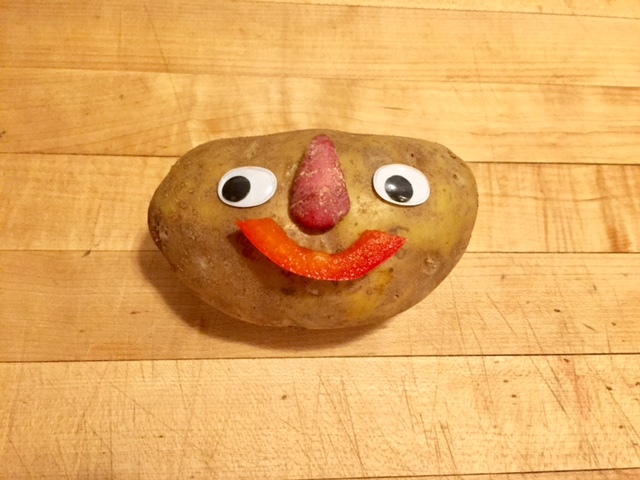 (I promise this will convert even the most stubborn potato heads.) Start by breaking a head of cauliflower into florets and steaming until tender but not mushy. 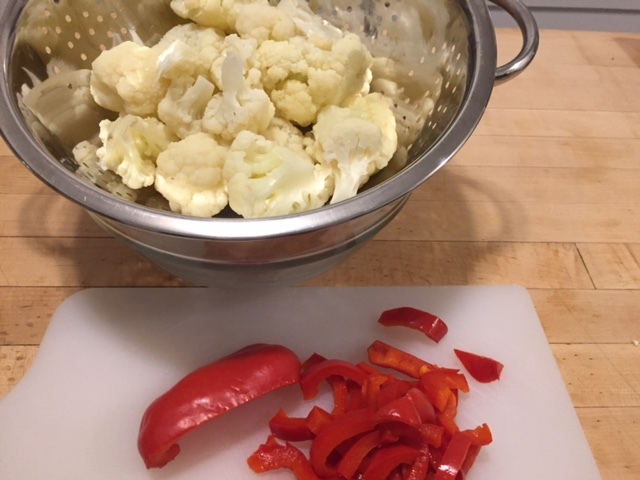 Drain and cool down in colander while slicing a red bell pepper. 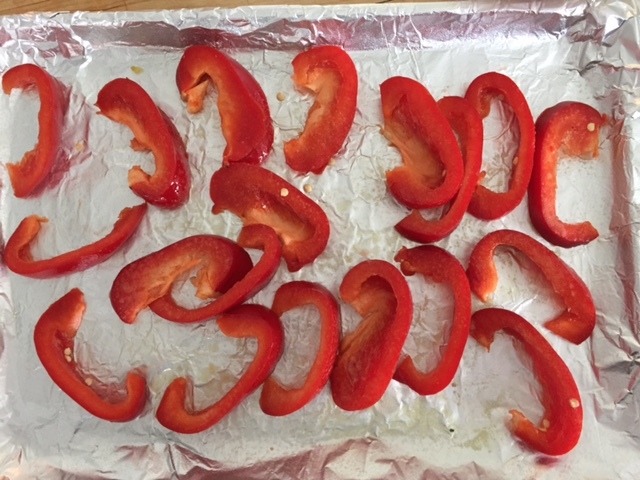 Arrange pepper strips on a foil lined baking sheet (always shiny side down) that has been sprayed with an olive oil spray. Spray again on the top layer. 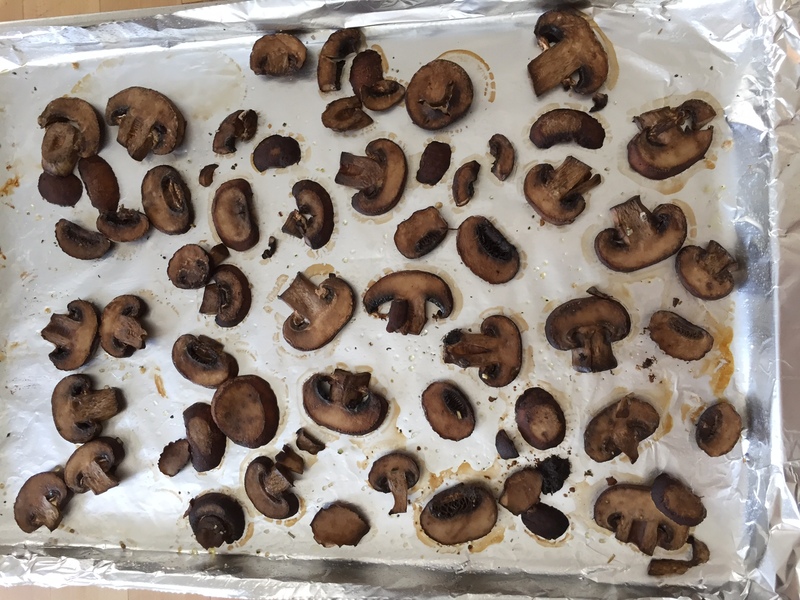 Bake in a preheated 400° oven for 10 to 12 minutes until tinged with brown. Cut strips into thirds and set aside. Combine 1/2 cup mayonnaise with 1 Tbs yellow mustard, 1/2 tsp garlic powder, 1/2 tsp salt and 1/4 tsp pepper. 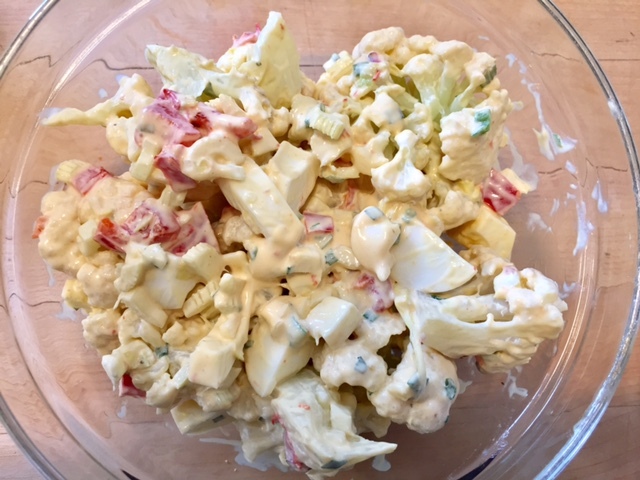 Mix this dressing with cauliflower in a bowl, gently stirring in roasted pepper strips, 1/2 cup sliced scallions, and two coarsely chopped hard cooked eggs. 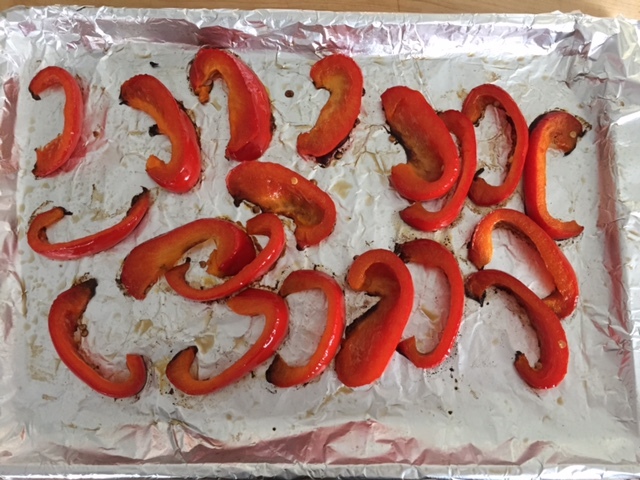 Now for the burgers: Before grilling, prep a baking sheet with foil and olive oil spray, just as you did for the roasted peppers. Coat with another spray of olive oil and sprinkle lightly with salt. Bake at 400° for 10 to 12 minutes or until golden brown. 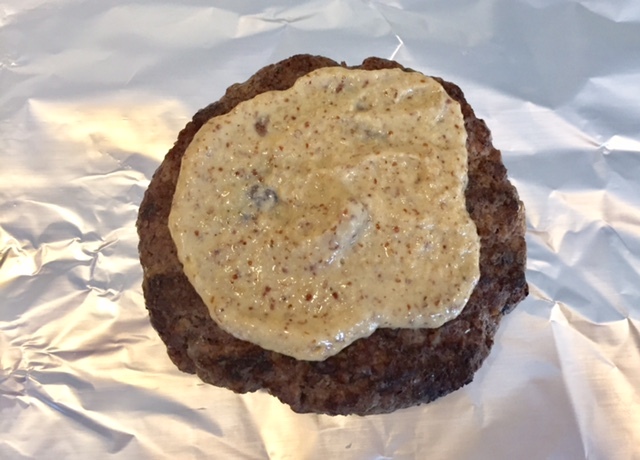 After grilling burgers until somewhat rare, remove from heat and spread with Dijon mustard. 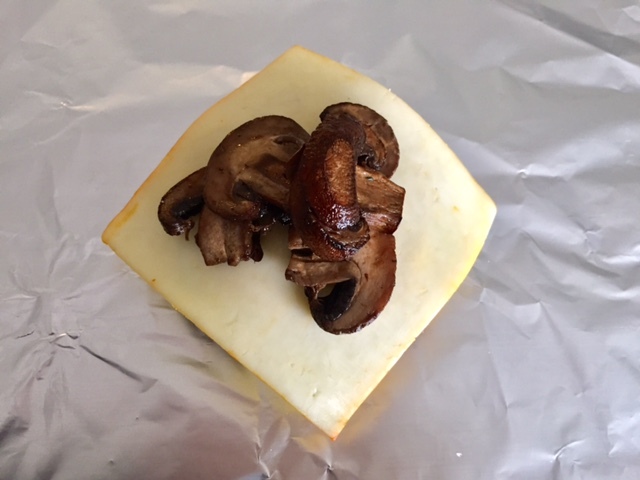 Top with a slice of Muenster cheese and roasted mushrooms. Return to the grill and continue cooking patties until cheese starts to melt and meat is more thoroughly cooked to medium or well done. 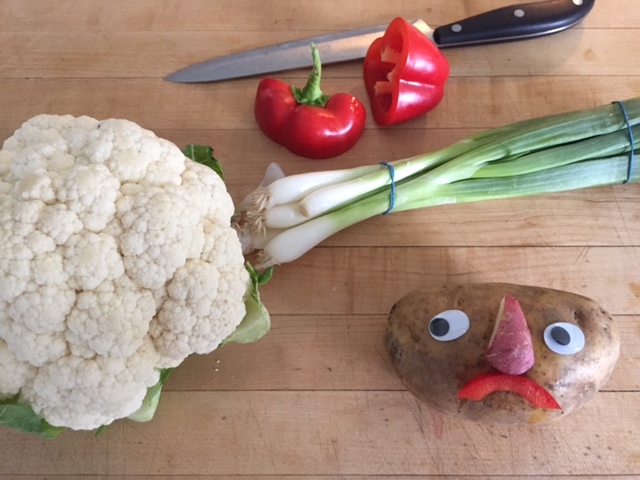 Serve with cauliflower salad- and you’re guaranteed to turn any skeptic’s frown…upside down.